Tim Lott discusses the most common practice metrics and accounting pitfalls. Make sure you're comparing apples to apples and maximizing your financial knowledge. popular with dentists across the country. Dentaltown in an effort to help dentists and prospective buyers. Howard Farran: It is a great honor and a privilege on the day before Halloween to interview dentistry’s greatest CPA, Tim Lott. How are you doing, Tim? Tim Lott I am doing just dandy. How are you, Howard? Howard Farran: I love your teeth. I think some of them might need a little bit of bonding, veneers, some braces maybe. Happy Halloween to you, brother. Tim Lott Happy Halloween, this is the Halloween version, isn’t it? It is going to be scary. Howard Farran: Hey, I just want to start this podcast telling the listeners that if you would have bought, instead of going to dental school for eight years and you would have just bought a franchise, whether it be, it didn’t have to be a big one like McDonald’s or Burger King or Wendy’s, but it could be a little Subway sandwich or a Long John Silver’s or any franchise, you would have a franchisee that would keep you completely on top of all of your metrics. You would know your costs, your labor costs. You would have a management information system that is bullet proof, but that is not what we get in dentistry. Our franchisee is a non-profit American Dental Association and if you read their journal, it has everything to do with fluorosis in a rat’s femur, nothing to do with profit, loss, profitability and all of that stuff. And Tim, I really respect what you have done on DentalTown for over a decade. I mean, you have 10,000 posts. You created a great online CE course on practice transitions, but I mean, every single time somebody asks financial accounting and managerial accounting, you have always been there sharing and answering and it is an honor to be with you today. And I also want to say something that, 100 years ago, physicians treated the whole body. And then over the years they specialized and now I think MDs have 50 specialties, and just the mouth, the dentist has nine specialties. And you were one of the earliest pioneers starting 30 years ago, pioneering a specialized accounting firm for just dentistry. And now not only are 95% of your clients dentists, but you are part of the IDCPA, the Institute of Dental CPAs, and I want to tell you that you can read other dentist’s posts on DentalTown and I am out there lecturing. I am out there a lot and dentists walk up to me and it seems like everybody that says that they went with a specialized accounting firm that only did dentistry, they finally got the big picture and their overhead immediately jumped an easy five percent just by finally seeing what is going on. And I want you to talk about that. Tell me, what was your insight 30 years ago to start focusing on one vertical instead of trying to be something to everybody? Howard Farran: And now you have, what, 25 or 30 firms spread out all across the United States? Howard Farran: That is just amazing. And the other thing is, dentists, when you go the dental school for four years and you are applying, trying to get into dental school, you know you are with some wickedly smart people. I think that a lot of dentists don’t listen to their CPA because the CPA only has one or two dentist clients and as soon as he gets off of the phone with you he is talking to a corn farmer, dairy farmer, restaurant guy, dry cleaner. But when those dentists, I mean, you guys consolidate data from hundreds and hundreds and thousands of dentists all around, and when those guys see it, the way you guys present it, they get it. Tim Lott Right. I mean, one of the things that I think any dental CPA can bring to the picture is the ability to answer the common question that every one of our dental clients asks, and that is how am I doing compared to your other clients. You know, back in the 80s, if we were doing 15 or 20 industries, it would be hard if we only had one dental client to be able to answer that question. But now we can tell them. Howard Farran: Oh yeah, it is amazing what you guys do. And yeah, you are a pioneer. And you went to CPA school in Baltimore, which is the city of the first dental school and the dental museum. So lots of things in dentistry starting in Baltimore. So I have got the whole hour with you, Tim. You know this dentist didn’t get any training in accounting, financial accounting, managerial accounting. You know they can’t tell the difference between a statement of income, a statement of cash flow or a balance sheet. Educate my viewers on what do they need to know about accounting. When a new dentist calls you up, where are they at as far as their accounting understanding and where do you try to take them and what are the most common questions and pitfalls? Share with us your 30 years of experience in this. Tim Lott Well, it is interesting. First of all, when some of these dentists come to us, they are associates. So at that point, there is very little “accounting” that we really have to get involved with them on. It is only when they get into their practices or we pick up somebody that has gotten into a practice, whether they started it from scratch or whether they purchased it, that we really have to get into some of the basics on the accounting and bookkeeping side, which is really where it starts. And, you know, a lot of times what we find ourselves doing is educating them on really some of the foundation issues of bookkeeping that lead to accounting that then lead to management reports and everything else. Howard Farran: Dentistry doesn’t even have a standardized chart of accounts. When you talk about dentists talking about overhead, I mean, they are all comparing apples to oranges. First of all, they don’t know their numbers. Any dentist who has ever told me their numbers and then I had the opportunity to look at it, what they told me and what I saw were a parallel universe. And number two, when you walk out of dental school, you don’t even have a chart of accounts. Like some dentists will say, “My labor is 20%.” But he doesn’t count health benefits or uniforms. And then the next dentist says, “Wow, I have high labor. Mine is 26%,” but then that guy is counting every single thing that the labor costs. Tim Lott And I have got to tell you though, over the last, gee over the last nine years since I have been participating in DentalTown, I think that is actually come a long way and improved, because even some of the newer clients that we get, I am starting to see more of them with a chart of accounts that has these very dental specific categories. So yeah, I would say ten plus years ago, they weren’t very standard and weren’t very common. But because of the CPA associations that are out there educating their clients, not just our associate, but some of the others, I think that is actually improving. And DentalTown makes it possible for us or some of the other dental CPAs that post, like Mike Bark, Sam Martin, to post their chart of accounts and post some of their knowledge. So it has really come a long way. Howard Farran: So where would you begin this education process? Why does a dentist call you up first and what do you have to teach them first? What are the basics that you have to teach this person? Tim Lott So I think we are talking about somebody who is just starting into practice themselves, whether they are starting it or whether they just purchased it. But I think initially, like I said, I think our first task is to really educate and get them organized on the bookkeeping portion of what they are doing. And that is just the basic, the money coming in, the expenses going out. How do you categorize those? What gets coded as a dental supply, what gets coded as a lab. And we spend some time educating them on how to properly handle those functions so that they can generate their own reports. They don’t even need us to get involved to generate these reports. We are basically teaching them how to fish. Howard Farran: Okay. So what do you want to teach them? Tim Lott Well again, we are trying to teach them some of the basics of the overhead, what constitutes overhead, how they can manage their overhead. When they are able to generate their own reports, what are those reports saying? How do you read those reports? If they need to drill down in those reports, how do they do that? But again, we are just trying to help them manage their finances, whether it is business or personal. Howard Farran: First of all, let’s go with overhead. What is attainable overhead and how different is it across this vast country called the United States? It is tough when people talk about the United States, because when you are in Europe, you know, nobody compares Germany to Greece or Finland to Norway. But in the United States, how do you compare overhead from Downtown Manhattan and Downtown San Francisco to Colwich, Kansas? And how does that play into effect in your mind? Howard Farran: And what percent, I don’t know, sometimes dentists are dreaming about a unicorn at night. But is a completely insurance free practice, what percent of the market is an insurance-free practice of the 150,000 dentists in this big country? How many of your clients are? Tim Lott Right, that is how I was going to answer it. I bet only about 5, maybe at most 10, but probably about 5% of our clients are truly what I would define as fee-for-service, which is they may accept PPO patients, but they are out of network and the patient has got to pay the balance. So truly fee-for-service, maybe 5%. Howard Farran: And do you see that as a good strategy? Tim Lott I think it depends on the area. I know here in Maryland, there are certain areas near Annapolis on the Eastern Shore near Easton where I think it can be a wonderful strategy, because you have residents in those areas that can afford to pay fee-for-service fees. So I think it really depends on the area and the area is going to dictate many times whether you accept PPOs or not. Howard Farran: So what do you think, so you are saying then in the rural that the overhead is lower, but the fees are lower. And in the big cities, the overhead is higher, but the fees are higher. Howard Farran: So you don’t think urban/rural is that big of a variance in overhead? But what do you think overhead should be? It could be 55% of production? Tim Lott Well again, I can tell you that yes, it typically runs about 50% to 55% of production, or 55% to 60% of collections or adjusted production, and that is with the average write off adjustments of about 19%. Howard Farran: So when the average doctor participates in insurance, they are basically writing off about 19%? Howard Farran: Which I like to think of insurance as, I package it in my mind totally different. Because a dentist will bad mouth insurance, but if I approach it in question and call it a volume discount, I mean, if you are out there paying $300 for a new patient on yellow pages, or in my cases $300 a head on yellow pages, $200 a head on direct mail, $100 a head on a Google ad. But if I sign up for an insurance company and they deliver me 200 patients, I mean, I think most stores would say, “Okay, one Barbie doll costs ten bucks, but if you order 300, I am only going to pay $8.00 a piece or $7.50 a piece.” So basically in my mind, what you are saying is you are giving up 19% to get a volume discount of all of these patients. And also what I have been saying to dentists for years, they don’t blink at signing up for a PPO where all of the fees are 19% cheaper, but then when you ask them, “Well, why don’t you spend 3% to 5% of collections on marketing, because half of this country doesn’t even have insurance. “ And they never want to spend any money on marketing, but they are the first persons to sign up and give a 19% discount to a PPO. Go ahead. Tim Lott Right, and I was just going to say, and the fee-for-service practices that we have, you will see their marketing in the 5% to 10% range. Howard Farran: Up to ten? Tim Lott Yes, 5% to 10%. Tim Lott I have seen some even higher than that that are doing cable commercials, TV commercials, things like that, marketing at minor league ball parks here in Maryland. And, you know, that is comparable, as you just indicated, to writing off 19% if you are going to join a PPO. However, sometimes, again it is sometimes driven by where the practice is. And if you are in an area that has a lot of employers that offer PPO insurance, you know, it is going to be very difficult in those areas to establish a fee-for-service practice. And even if you are able to do that, it is going to take a long time. You really have to set yourself apart and basically do something completely different than every other practice out there. Howard Farran: So in your view of all of your clients, do you think the people who spend more money as a percent of sales on marketing actually net income higher than the people who do not spend a lot of money on marketing? I mean, what trends have you seen? For instance, I will give you a stat. McDonald’s spends about 600 million a year on advertising and Burger King is 80 million a year. And McDonald’s is number one and Burger King is not. Howard Farran: So what truisms like that do you see in your clients? Tim Lott Well, I think you can certainly go back and I suppose if we were to look at each of our practices that happen to be fee-for-service or even majority fee-for-service, they don’t have to be 100%. They can be 80/20 mix. But if you were to go back and look at those, as I am thinking about some of my own clients that I know are fee-for-service, certainly the ones that are doing the right marketing and they are willing to spend the dollars on the right marketing, they are successful practices. They are completely successful practices. Howard Farran: And can you define what right marketing is? Tim Lott Social media, I mean, the stuff that is going to bring in the patients today. It is not the kind of stuff from ten to fifteen years ago, the yellow pages and things like that. That is just not going to work. We still see practices that come to us that are still paying for yellow page ads. And one of the first things that we do is say, “Look, you know, you have got Facebook, you have got Twitter, you have got your website.” There are so many other marketing outlets that are trending today that they have to get on the bandwagon with, because that is what everybody else is doing. Howard Farran: And another thing, when you are talking to dentists, they almost never have the data. In fact, I had one of the biggest lawyers out here have lunch with me. And he said, “You know, you are successful in dentistry. I want to pick your brain for law.” But he has the same phone number on his yellow page ad, his billboards, his TVs, his signs, everything. So he couldn’t tell you where any of the incoming calls were coming from, whereas I have, my phone is bundled with my Internet and cable TV. So I have eight incoming lines. So I have a different number for the monument sign right by my front door versus yellow pages versus the desktop PC versus the mobile. You know, I have eight different phone numbers. So I can sit there and do the math on that and then you figure out where, well if you are paying $300 a head on this medium and $75 a head on this one, they you move money over to this column. Howard Farran: So tracking is everything. So let’s change on this overhead. So you said it could be 50% to 55% of adjusted or net collection, 55% to 60% of gross production. Tim Lott Backwards, 50% to 55% on gross, 55% to 60% on adjusted/collections. Howard Farran: Okay. So let’s go through there. Let’s go down to the top category. So the highest category would be labor. Talk about labor overhead, what ranges, what do you see? Tim Lott Labor overhead, here are the statistics that we came up with the last time we did a survey. Assistant wages typically run 6% to 9% and now this is going to be based on adjusted production now. And again, adjusted production means we are using the average of 19% write off. But assistants are 6% to 9%, hygiene 8% to 10%. Howard Farran: Eight to ten? Tim Lott Eight to ten. Front desk, 5% to 8%, and if you have larger practices with multiple doctors with administrative people, that can get upwards up to 12%, 13%, 14% in addition to the 5% to 8%. So about 12 to 15 total with administrative people. Howard Farran: Okay, so for non-dentists, assistants, hygienists, front desk, what would that total be? Tim Lott For your typical solo practice, wages alone are probably going to run somewhere between 24% to 26%. Howard Farran: And for group practice, labor is going to be? Tim Lott You know, that is an interesting question. I would say for those three same categories, assistants, hygiene, front desk, that percentage could actually drop a little bit, but what they have are the higher end administrative people, the practice administrator, things like that. So again, you are easily going to add another 5% to 7% on top of those three other categories. Howard Farran: And then what would the dentist be making? Tim Lott Again, solo practitioners, we see somewhere in the neighborhood, again based on the adjusted production or collections, in that 40% to 45% range. Howard Farran: The dentist would be making 45%? 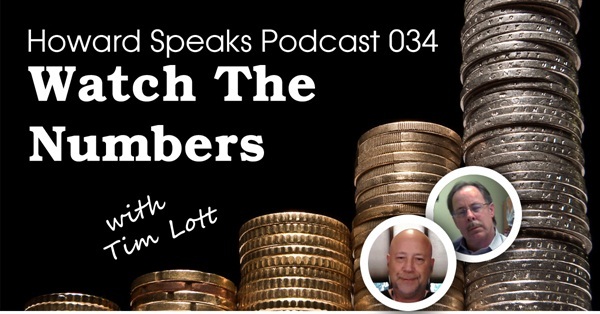 Tim Lott 40% to 45% of total practice revenues. Howard Farran: Okay, of total practice overhead. Howard Farran: But of adjusted collections, what would that be? Tim Lott Well again, that is 40% to 45% of collections. That is what they would be taking home. Howard Farran: Okay, and in group what would that be? Tim Lott Again, it can really run the gamut, because it depends on the type of group, but generally speaking, I would say the owners of a group practice, two, three, maybe four partners, should be taking home in the range of closer to 50%, maybe more. Howard Farran: Okay. So then when you look at an industry where the dentists are making 40% to 45% on solo, half on group and then the staff is making basically another quarter, 25%, that is 3/4ths people. So then when I look at the, I don’t like to call it corporate dentistry, because what percent of solo practicing dentists are incorporated would you say? Howard Farran: Yeah, so when people say corporate dentistry is all of this evil stuff, they don’t even realize, well dude, you are a corporate dentist. You know, you are an LLC or an INC. But I like to think of chains. And correct me if I am wrong on this, but a solo practitioner doesn’t have the skills of economy for like a marketing director or an HR personnel. But when I see, and I have seen this pretty much in 50 different towns, where if a dental office gets to a group practice with maybe even two or three locations, they get a little extra skills of economy and they can get a full-time controller and an HR and a marketing person. And they seem to be more sophisticated and just do a great job. Howard Farran: I see advantages of that. But when I see this chain dentistry with like 500 locations, now you have another layer of corporate. So I understand how a corporate office can be more efficient for three or four dentists instead of one or three or four locations instead of one, but then when you throw in another national office and they have got 100 bodies there, I don’t see those 100 bodies doing anything so brilliantly efficient that makes everybody run smoother, where they pay for themselves. I just basically see at the end, okay now one guy has several jets and you the dentist just make a lot less money. Howard Farran: Do you see those coast to coast chain dental offices doing something so managerially awesome that everybody wins in the long or are they just moving money from dentists to a corporate owner? Tim Lott Yeah, I mean it is tough for me to comment on the finances of the corporate offices. And when somebody asks me what a corporate office is, I basically define it as a dental practice owner where guys like Tim Lott own the practices, and I am not a dentist. So it is all the investors. But see, I have never really been involved with any of their finances, their statements, their accounting. I have had clients that have sold to the corporate offices and have continued to work there and the one thing that comes out of their mouths when they tell me what some of the changes have been, the primary thing is the ability to save a little bit of money on purchasing, whether it is supplies, lab, services like accounting, bookkeeping, payroll, benefits for the employees. They get discounts on those. So typically, you know, there are some savings in overhead because of what you alluded to earlier, the ability to go out and pay $10 for this one, but if you sell me 100, then I will only pay $7 or $8 each. Howard Farran: But what percent of overhead is labor, I mean, lab and supplies would you say for solo and group? Like what should a solo practicing dentist be paying for supplies and what would they be paying for lab? Tim Lott 4% to 7% for dental supplies, and about 5% to 8% for lab. And then just let me give you a caveat there, that again as more practices are using CERAC machines, CAD/CAMS, what have you, that 5% to 8% is dropping, but the supply 4% to 7% number is starting to increase because of the blocks and such. Howard Farran: Because of the what, the blocks? Tim Lott Because of the blocks. Howard Farran: Yeah, now see, there is a classic example, because I put the blocks in my accounting as part of lab, because it is just for the crown. Howard Farran: So that is a problem in dentistry, where a lot of people aren’t talking apples to apples. But you know, I understand corporate dentistry for the Walgreen’s, because the pharmacist, you know, 80% of their cost was in buying the pills. So a group purchasing for the pharmacist was everything, and that is why they all folded into Walgreen’s and CVS. But in dentistry where your actual supplies are 4% to 7%, I mean, dentistry is a game of labor. You want to maximize labor efficiency and productivity. It is not about gauze and anesthetic and carpules of composite amalgam. Tim Lott Right, and I would take that a step further and say that if, you know, it is also about utilizing what you invested in. So what I mean by that, and you see this a lot on DentalTown in some of the lean and mean threads and things like that, but if somebody is going to invest $400,000, $500,000 in an office and it has four to six ops, and if they only work four days a week, 32 hours a week, then you have all of this investment sitting there idle. And if they can somehow partner or utilize that equipment by allowing specialists to come in, that is just another way to, on a percentage basis, lower the overhead. Howard Farran: Yeah, so there are 168 hours in a week and when you are open 32 hours, that is only 19% of 168. So their office is closed four out of five hours and they don’t have any digital recording of their incoming calls, so when they close down at 5 o’clock on Thursday and open up at 8 o’clock on Monday, they can’t tell you if they had one incoming call, ten incoming calls or 50. And all they will do is they will point to some audio cassette to leave a message and they say they got three messages. And it is like they don’t know. And then you go back there and change everything and then when they come back and realize, “Man, we had 40 incoming calls over the weekend”, and 20 of them have never called their patient and you can hire a dentist graduate all day long for $85,000 a year and they never think twice about hiring an associate and having that thing open extended hours. But they are the first ones to complain if Heartland offers them a job, or Aspen, or Pacific Dental Services. It is like, well, at least those guys are creating jobs. I mean, you are not creating jobs and you are not answering your phone and people are just getting a recording. Tim Lott Right. I was going to say, how many days a week is your practice open? Tim Lott Join the club! Howard Farran: And all four of my kids are out of the house. So now I am Monday through Thursday. We open at seven and close at six Monday through Thursday, and then we are open Fridays seven to one, but we man the phones on Saturday. So we answer the phones and catch the fish on Saturdays, but not open. Tim Lott Right, and here is why I ask that question. I have a very successful dental practice here in Maryland. They are open seven days a week. They are now owned by three dentists, but they have probably three other general dentists. They have two orthodontists, the oral surgeon, the endodontist, and they are open seven days a week. Now on Saturdays I think they are only open from like eight to maybe four and on Sundays, from like nine to two. But the owners probably only work three, three and a half days a week and they work the schedule so people work different shifts different weeks and it has worked very well for them in this area where there is a good demand for Saturday and Sunday appointment times, especially with kids in ortho. Howard Farran: And you know what, how we were so amazing to staff our Saturday, is people don’t realize that you need to graduate three registered nurses to have one of them working full time in America, because two out of three RNs and two out of three hygienists on any given day are home with kids or their spouses work or whatever. And when we opened up Saturday for 20 years, it was completely staffed with hygienists and assistants who only worked that day. And they were home raising kids and they loved that day, because they said if they stayed home Saturday, their husband would just park in front of the television and watch college football all day and wouldn’t interact with the kid. But when she went to work that day, she got out of the house, she had a life, but what she loved the most is her husband had to do what she does five days a week. And every one of them just loved the fact that they knew they would come home at four or five in the afternoon and their husband would like, be completely exhausted and say that going to work is twice as easy as running around and feeding and diapers and all of that kind of stuff like that. Howard Farran: So okay, so we talked about labor, the dentist is the highest overhead, 40% to 45%, the staff is 24% to 26%, labs 5% to 8%, supplies 4% to 7%. What would be next? Tim Lott Well you have got rent and the facility expense. That could run anywhere from 4% to 7%. You know, you mentioned New York City earlier. We have seen rent expense in high-rent districts like that up to 10%. So that can eat up, you know, up to one-tenth of someone’s overhead. Howard Farran: And what do you say to these dentists who you never know if it is a social animal hardwired to be territorial. I mean, you let your dog out in the front yard and it goes and pees on this corner and pees on that corner. A lot of dentists just want to own their own land and building. Is that a territorial instinct thing, or is that a good financial business decision? Tim Lott I think it comes down to being an investment decision. And it is a very common question when we get the buyers out there that are looking to buy dental practices where the seller also owns the real estate. And, you know, if it is in a good location, if it is a good piece of real estate, not a lot of problems with it, and if it looks like it is going to be a good investment, then by all means they should try to acquire the real estate. And if it can’t happen at the same time they purchase the practice, my advice to them is, “Look, buy the practice first. You know, get a first right of refusal on the real estate. Get an option to buy it when you are ready to buy it.” The practice is what is going to put food on the table. The real estate is an investment. You can invest in that today, a year from today, two years from today, when you are ready. But get yourself in the practice. Get it running on all eight cylinders and when that is running the way you want it to run, then you can focus on acquiring the real estate if you can’t buy it initially. So again, I think it depends on the investment opportunity, whether it makes sense to buy the real estate in addition to the practice. Howard Farran: Okay Tim, when a dentist comes to you and they have high overhead, why do they generally have high overhead and what is the common recurring theme in coaching someone down from 75% overhead to a more reasonable overhead? What do you think the overhead errors are? Tim Lott I bet the number one reason that people have high overhead in my experience has less to do with the expenses and more to do with the revenue. They just haven’t grown into their overhead yet. So that is typically the primary reason. Secondarily, you may have a practice that, for lack of a better phrase, has petered out to a certain level of revenue that may only support maybe three days a week of production, but they feel like they have to keep people employed for at least four days a week, otherwise they are going to leave and go work somewhere else. So the overhead tends to be high in practices that I get a chance to analyze because of the labor. The other issue that you read about on DentalTown many times when somebody posts about I want to buy this practice, but they have staff that has been there 10, 15, 20 years and they are making above the market pay rate because, you know, they are being paid based on the hourly rates back in the 90s and early 2000s, then we went through the recession, wages came down, at least in the practices we see. Then all of a sudden you get these sellers that want to sell, but you know, you have 35%, 40% overhead just in labor. Howard Farran: Right. Yeah, I am there. I still have my first dental assistant. You know, 27 years. And it is hard to tell them every year that just because the Earth went around the sun a revolution doesn’t mean you get another dollar an hour. I mean, it just doesn’t work that way. That is a hard conversation to have. It is also a hard conversation when you do performance reviews, because most people think that a performance review, that if you do good, you get another dollar an hour. I mean, well I did good, so I get more money. So Tim, so in your 30 years, I mean you and I have seen some tremendous recessions. We were alive and walking through the big 80 crash when interest rates, inflation, interest rates were crazy. We saw the ’87 Black October Monday or Thursday or whatever it was. We saw the March 2000 crash. But this last one, this last one in September 15, 2008, man, that was a knock out. Where do you think the economy is now with the practices you are seeing and is dentistry in American growing, is it flat, has it ever recovered from that crash? Howard Farran: And in a recession dentistry, when there is a recession in a restaurant and you just decide, I am not going to eat out for lunch today. I am going to bring a bologna sandwich. That restaurant loses that money forever. But not in dentistry. When you don’t get that cavity fixed, it usually doesn’t go away. And most of the time it gets bigger and turns into a root canal and a crown. And even if they sit there and it is a toothache and they can’t afford the root canal and the crown and they pull it, when times are good, then they want to come back and replace it with an implant and a crown or a bridge or whatever. So dentistry is the hallmark of pent up demand. And I have been seeing that. After that 2008 recession, the number of fillings I did plummeted and then four years later, the number of root canals I was doing sky rocketed. All of those $250 cavities in 2008, 2009 and 2010 that never were treated, they all turned into thousand dollar root canals in the last couple of years. Tim Lott And one of the interesting things that we were seeing during the down economy had to do with our specialists and I am going to use an endodontist. They were actually down because the general dentists were trying to fill their schedules with some more endo because they couldn’t fill it with the crowns and all of that other higher lever stuff. So the endodontists were suffering, but then when it got busier, the last two years, 2013 and 2014 we have seen the endodontists pick back up, which indicates to me that the general dentists, then they should also be picking back up with some of the stuff that they weren’t doing, because now they are referring the endo back out again. Howard Farran: So you are saying that endodontists will be doing a lot of retreats in the future from the dentist’s attempt at doing the root canal? Tim Lott Right. That is probably what they are doing now. Howard Farran: So after rent, what would be the next smallest thing? So we are going biggest to smallest. What is after rent? Howard Farran: What was the advertising range? Tim Lott Advertising is about 2% to 3%. Howard Farran: 2% to 3% on advertising. Tim Lott Yeah. Once you get beyond that, then the other, you know, 15 to 20 categories make up the other 10% to 15%. Howard Farran: And what are those categories? Just rip through them off of the top of your head. Tim Lott Well, you have got A through U. You have got accounting, you have got insurance, you have got utilities, you have got telephone. You have got repairs and maintenance, janitorial, you know, just that whole slew. Howard Farran: Yeah, laundry list stuff. So now what percent of your practice is involved with transitions, buying and selling a practice? Tim Lott That is a lot of what I do these days. Howard Farran: That is what your online CE course was on. Howard Farran: And if you haven’t seen that, you have got to log on to see that. I mean, that is an amazing course. So tell us, educate us on practice transitions. Are there any rules of thumb for a dentist wondering, what is my practice worth? Is it worth a year’s collection, a year’s production? Is it a function of net income? Talk to us about that. Tim Lott Profits drive value, in my opinion. That is first and foremost. The lower the overhead, the more profitable any business is. Generally, it is going to drive up the value of that business. That is not to say that there aren’t areas of the country where you can still have low profits, but still demand a high price for the practice because of the demand. And I like to reference the dot com bubble of the late ‘90s, early 2000s when a lot of these Internet companies were losing billions of dollars, but somebody was buying them for billions of dollars, because there was a chain. Howard Farran: That was called, didn’t they refer to that as a greater fool’s area, that it didn’t matter if your Internet stock had any value, when you went to sell it, there was someone that was a bigger fool than you that would buy it? Tim Lott Right, that is right. That is right. So in terms of rules of thumb, I really try to stay away from those. I would rather have the practitioner or the dentist look at their profits. And whether they look at what they are taking home and use a multiple of that or in a multiple doctor group setting basis, look at the net income and take a multiple of that. That to me is probably a better indication, a better guide of a starting point than what you typically read about, 60% to 75% of revenue, because that can be so misleading and unfortunately, you get people that read some of these posts on DentalTown and they read that a practice should sell for 60% to 75%, and they walk away from an opportunity that is priced at 90% that can be an excellent deal. Howard Farran: So what is that multiple, and is that EBITD, earnings before interest, taxes, depreciation? Tim Lott It is, and if we are using that number it is typically somewhere in the range of a multiple of, you know, anywhere from four to seven. Howard Farran: Four to seven. So that is the same with supplies, 4% to 7%. Howard Farran: And I want to talk to you about that. You know, when you say 4% to 7% of supplies, that is almost 100% range. And now you are talking about a 4% to 7% multiple of EBITD. Will you explain to them what EBITD is and why that range is so great, what makes it closer to four versus closer to seven? Is that urban versus rural, is that supply and demand? What is that? Tim Lott Well, when somebody asks me what EBITD is, I tell them just get it out of their mind. It is cash flow. And, you know, then we get into well, what is cash flow? And I keep it simple. I say, look, it Tim Lott owns this dental practice, I am not a dentist. I have to go out, hire Howard to produce the dentistry and pay him a reasonable wage. So after the overhead and after I pay you, all of that cash flow that is left to me, that is what I am using to determine in terms of a multiple. That is the cash flow that I am working with. Get EBITD out of your head. Howard Farran: And I pay my associates 25%. And I have all of these dentists on DentalTown saying, “You are a monster. Why would you pay someone 25%? You should be paying them 50%.” And I always tell them, well no deal is better than a bad deal. I wasn’t born to create jobs. I pay 25%. What do you see the average associate making? Tim Lott Between 30% to 35% of adjusted production or collections. Tim Lott Productions or collections, which should be about the same number, or 25% to 30% of gross production. Howard Farran: Okay, so I am a little stingy cheap then. Tim Lott Well, it depends on the other benefits that you give, doesn’t it? Howard Farran: Yeah, and we give health insurance, 401K, uniforms, continuing ed. They are treated pretty handsomely. So what affects why it would be closer to 4% or why it would be closer to 7%? Tim Lott Basically the profitability. So if overhead is lower, then you are probably going to be on the higher end of that multiple, or depending on the area. If you are on the West Coast in California where they get 80% to 90% of revenues, or maybe in New York City, which is another little hot area, then you are going to get on the higher end of that range, even if your overhead is too high. Howard Farran: And would you say that is basically because there are a lot of immigrants coming in that are bankrolled cash from foreign money from other countries? Tim Lott No, I wouldn’t use that as a reason. I think that you have dental specific lenders that are out there that recognize that dental practices by and large generally don’t fail. They are successful business and they have recognized that and they have made it a market to lend 100% of purchase price to these folks that want to buy practices. You know, it gets back to your recent article on OPM, other people’s money. Howard Farran: What did you think of that article? Tim Lott I thought it was right on point. I even posted to it recently. I saw a lot of people honing in and focusing on just some little examples you gave about the student loan debt, working for $5 and hour and $50 an hour and it kind of reminded me of the saying being able to see the forest through the trees. But I deal with this issue a lot with our clients, when they want to add another operatory, if they want to add an associate, if they want to expand their space. Do they want to invest that money, even though the cash flow that they have, it is not like they have 100 or 150 grand in cash. We say, “Look, borrow it.” Go borrow five year term note. Borrow $50,000, because if you add that operatory, you just have to produce $1,000 a day out of it, or $1,000 a week. Howard Farran: But what I don’t understand is they don’t understand that using debt or other people’s money for your house and cars and vacations is bad idea, but using other people’s money so that you can go to dental school now instead of having to wait 20 years or buying a pano machine where you can bill out a dozen panos each month that are over and above the lease payment or get a CERAC machine and lower your lab bill today. I mean, so these guys just get this, “I don’t want any more debt, I don’t want any more debt.” And the other thing, they always talk about their $300,000 student loans. They never talk about the fact that their house cost $400,000 and their princess little wife has never had a job. So you know what I mean? It is like, okay, so why don’t you add on the debt sheet the fact that your wife won’t have a job for 30 years and we will just put that on the balance sheet as a deficit and then your house, by the time you pay that off over 30 years, that is about three times what you paid for it. Howard Farran: So this get out of debt deal is something that if every billionaire had that mentality, none of them would be a billionaire. Tim Lott And one thing that we try to show our clients when we are dealing with these issues, is again, using the $50,000 example, so you go borrow for five years and if you have got to pay back $1,000 a month, 12 grand a year over five years to pay that back, that is 60 grand. So that $50,000 investment though, if it is another room that generates another $150,000 of revenue after your supplies, maybe another assistant, lab and even after the $12,000 of your debt service, you have even more cash flow to start knocking out some of the other debt that you are concerned about. Howard Farran: And where in your experiences are dental offices an illiquid asset and they are hard to unload? Like right now I live in an illiquid asset house. In my neighborhood there are 30 houses for sale and they are all million dollar homes and no one is selling their homes, so I feel like my house is illiquid. When is a dental office illiquid? And are you seeing any of this? Tim Lott I am from time to time and the practices that are most difficult to sell are the ones where the seller has begun to coast. They were working four days a week, they cut back to three and half, cut back to three, cut back to two and a half days. They are only producing $250,000. A lot of those patients now are going somewhere else because they can’t get into that office on the days that they want to. You know, those offices, it is difficult to find a buyer for those offices, unless it is in a location where the buyer believes they can grow it back up again. Howard Farran: And Tim, what do you say. We have a lot of dental students on DentalTown, tons of them. And we can see their registrations, because they have their dental school email address. And a lot of their questions are – how do you answer this question – Tim, I am a senior. Would I make more money if I went into a specialty firm? I mean, do endodontists and periodontists and pedodontists, do they make more money than a general dentist? Is that worth it to go to specialty school to make more money? How would you answer that question from the data you are seeing? Tim Lott I would tell them to read your article about using other people’s money. And I am kind of joking there, but it becomes a question of an investment and if they believe that they can get a better return on that investment, then it makes sense. And from our client base, the orthodontist, the periodontist, again depending on where their practices are, depending on their personalities and how they treat the patients, how they treat their referral sources, I think they can make more money than the typical solo practice. Howard Farran: Would you say the average specialist makes more money than the average general dentist? Howard Farran: By a factor of what? Give them some hard numbers. What would you say your average dentist makes and what would you say your average specialist makes? Tim Lott I would say that the average GP client that we have probably makes between 200 to 250 a year working four days a week. I mean, what kind of career is that? That is just fantastic. I often regret maybe not going to dental school, but anyway. On the specialist side, 300, 400, plus. Howard Farran: 300 to 400 plus? Tim Lott Yep and I mean, we have endodontists that are making 500, 600 plus. Howard Farran: Can you arrange those specialties and what would be the more lucrative to the least lucrative? Tim Lott Yeah, well endo again, I would say the average is probably 500 to 600 plus. Orthodontists, again depending on how busy they are, where they are located, they can be a little bit north of that. Oral surgeons, depending on how technical they are with their procedures and stuff, they can even be on the top of the food chain there. Howard Farran: Yeah. But you know what, I can tell you in Phoenix, Arizona, my backyard, specialists have the same variance issues as general dentists do in the fact that, like in my backyard there are these two Canadian orthodontists. They are both Canadian, they both have larger than life personalities. They are fun, handsome, gregarious. Any time you walk in their office, you just feel loved and it is fun and they are just crushing it. And then there are other orthodontists in the area that technically are just perfect, and one of them has gone bankrupt and the others are barely surviving. It is the same thing in dental offices that I have seen. You know, I am out here in Phoenix. I mean, I used to follow around Omar Reed, you remember Omar Reed, this larger than life personality. And all of the dentists that walk in there and they walk in the room and the first thing it is like, “Tim, how are you doing?” And they remember your wife and your kids and you are just all jovial and the first five minutes have nothing to do with dentistry and those guys are just crushing it. And then the little introvert dentist who walks in and looks at the x-ray on the view box and starts talking about dental stuff like that and their close rate is about 30% and their treatment plans are small. So it always comes down to these larger than life personalities. I mean, there are a couple of orthodontists here that I would almost go and get a job as a dental assistant in their office just because it would be so damn much fun every day, you know what I mean? Tim Lott Right. I was going to say, I have got to tell you a real quick story. Back in ’89 when I was dating my wife, I live in Baltimore County, she lived in Howard County. It is about 30 or 40 minutes away. But I had a client that was a very successful endodontic practice closer to where I lived. Long story short, I was going to spend the night at her house Friday night and I had a terrible toothache in one of my front teeth. It brings tears to your eyes. You know you need an endo job. So 5:30 Saturday morning, I got no sleep, but I called the doctor’s office at 5:30, the endodontists office. He answered the phone because he had it rolled over to his house. I told him what the problem was, the what the pain was. He said, “Tim, if you can meet me at the office at 6:30, I will meet you there.” There was snow on the ground. That is how he treated his patients. That is why he was so successful. He made himself available to treat their pain. Howard Farran: But finish the story. What did you say on that date where she punched you so hard you needed a root canal the next morning? Come on Tim, finish the story. Tim Lott I can share that story. I probably wore that stupid mask and scared the crap out of her. Howard Farran: You know, the same thing, I have always – if 100% of my patients, I will show you. Can you hand me my card, Brady, please? I will even show you this. I give 100% of my patients my card. It has got my cell phone number, it has got my email. And you know what, I still can’t believe all of the IOUs I have built up over the years. I mean, if I go to the grocery store, some lady will say, “Howard, do you remember back in 1987? It was on Thanksgiving and I called you up and my denture had fallen out,” or whatever. And I go down there and met them and I made it a big game with my four boys. Because my four boys, I would say, “Daddy has got an emergency.” And all four boys would jump in the suburban. We would all drive down there together. One would do the patient napkin, one would suction, and they were all trying so hard. Patients loved it and I never charged them, because I didn’t even want to deal with the money and I didn’t want to do stuff like that. And talk about customers for life, some of the most loyal people in the world. I mean, you are still talking about this event and it has been how many years? Tim Lott Yeah, it has been, well 25 years. Howard Farran: 25 years, so that means she is almost 40 now. Because wasn’t that the problem, she was under aged? Hey well Tim, that has been our hour. And I just want to again, if some dentist out there is dealing with a CPA who has got equal numbers of dry cleaners and corn farmers and dairy farmers, how can they get involved with your IDCPA, your Institute of Dental CPA? Do they just go to the website, IDCPA.com? Howard Farran: Oh, it is .org, I am sorry. Tim Lott .org, and they can also find that link through our website, dentalcpas.com. Howard Farran: That is your website, dentalcpas.com. Tim Lott Yes, dentalcpas.com. And then we have a link to our member firms as well, the IDCPA link. Howard Farran: And what is the process of transferring over from your CPA to yours? Is there a better time to do it, like after the end of the year or tax season or does it not matter? Tim Lott You know, it really doesn’t matter. It doesn’t matter at all, especially in today’s world with a lot of practitioners doing their own bookkeeping, using QuickBooks or Zero, whatever the software is. It really doesn’t matter. Just like when a patient wants to transfer from another office to yours ,it doesn’t matter what day it is. It doesn’t matter what week it is. If they want to come, you open the door and you let them in. Howard Farran: And what accounting software do you like working with the most that a dentist has? Is it Intiut’s Quicken, Quick Books Pro, Quick Books Online? Is it Peachtree? Tim Lott Quick Books Online. Howard Farran: That is your favorite? Howard Farran: And to how big of a company can you do that with? I mean, could Heartland Dental or Aspen or Pacific Dental Service, could they run their big organization on Quicken Online? Is it Quicken Online or Quick Books Pro online? Tim Lott Quick Books Online I think is what it is. Can they? They probably can. Should they? Probably not. I think the bigger companies with multiple locations, multiple departments probably need more sophisticated accounting software. Howard Farran: Okay, I have an MBA from ASU. I use Peachtree. Do you think that is a good software? Tim Lott That is perfectly fine. Howard Farran: Perfectly fine? What would be better than Peachtree? Tim Lott Oh I don’t know, better in terms of what? Again I think it depends on the needs. Peachtree is fine. It is right up there with Zero and Quick Books. We don’t see a lot of it, because Intuit has done such a great job of marketing. Howard Farran: So what was Intuit’s better program other than Quick Books Online? What would be their next level up, or do they have a higher level, a Mercedes? Tim Lott Well again, desktop Quick Books, whether it is Quick Books Pro or whatever, but I mean, those are the two main ones. Either Quick Books Online or Quick Books Desktop. Howard Farran: Okay, so I just want to close on this one deal and all I am going to say is this, if you are a dentist and you are using a CPA and he has only got one or two or three dentists and spends 95% of his time with non-dentists, I am telling you, you don’t know what you are doing. I can give you, I mean, go look at Tim’s 10,000 posts on DentalTown over the last ten years. I mean, you have more raving fans on DentalTown than probably anybody on there. Tim, thank you for everything that not only do you do for your clients, but for dentistry, but for DentalTown. And thank you for sharing an hour with me. Tim Lott Hey Howard, thanks for this opportunity. I was looking forward to it all week, especially with the mask, and I am glad you got a kick out of it. Thank you. Howard Farran: Alright Tim, thank you very much. Bye. Tim Lott Thank you, take care.